Christoph Benn is the Director of External Relations at the Global Fund to Fight AIDS, Tuberculosis and Malaria. He has been responsible for building and maintaining good relations with all Global Fund partners and mobilizing resources for the Global Fund almost since its creation in 2002. In this role, he has been managing the replenishment conferences, securing long-term commitments from donors and spearheading innovative approaches to resource mobilization including (Product) RED and Debt2Health. Prior History. 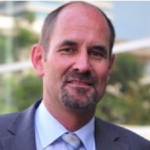 Christoph Benn has more than 20 years of experience in global health. As a physician with special training in Tropical Medicine, he was the doctor in charge of a hospital in rural Tanzania. Following additional training in Public Health at Johns Hopkins University, he worked as an advisor to many health programs in Africa and Asia. He also has extensive experience in advocacy working with NGOs around the world. He co-founded the AIDS advocacy network, “Action against AIDS”, in his home country, Germany, and was the first board member representing civil society from developed countries when the Global Fund was created in 2002.